Cloud gaming demo service Gaikai has added a free demo of Need for Speed: The Run to its cloud gaming demo network. Need for Speed: The Run is a racing game published by EA and developed by EA Black Box. It's the latest game in the long-running Need for Speed franchise. Need for Speed: The Run lures players into an underground world of illicit, high-stakes racing. The heat is on – and it isn’t just the fuzz who are after you. Entering the race is just the beginning as you blow across borders, weave through dense urban traffic, rocket down icy mountain passes and navigate narrow canyons at breakneck speeds. 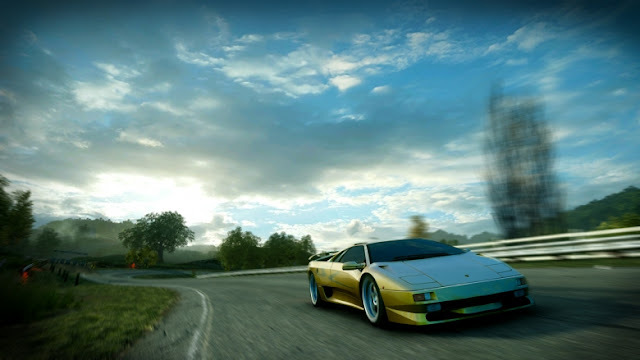 Powered by DICE’s state-of-the-art Frostbite 2 engine, Need for Speed: The Run takes the action racing genre to new heights with stunning visuals and car physics that hug the road even at top speeds all built around a gripping storyline. The cars are hot, the racing is intense and the story will have you at the edge of your seat… all the way from the Golden Gate Bridge to the Empire State building. You can play the free demo of Need for Speed: The Run powered by Gaikai. My favorite Need for Speed is Underground. I got so fond with that game that I spent most of my summer vacation with my Xbox and hanging out in the nearest mobile car detailing perth to get ideas on how to put decals on my worn-out Cefiro. That exact game made me look for that rocking Eclipse from long island nissan dealers. I'd give everything to take that baby home. Hey, check this out! Need for Speed is cheaper now. And I got one already, mine's the same of my nissan bay ridge titan. That black spray paint detail makes me want to drive to the nearest auto detailing perth shop and have my car customized. That mustang (or is it a shelby?) looked almost like the same car I saw at the syosset ford dealership sometime before. Why does it look better in the game?